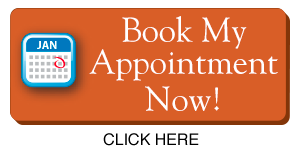 It is our goal at Link Dental Center to offer the very best dental care to our patients. If you have any questions or concerns about how we can care for your oral health care, please don’t hesitate to contact us today at (310) 558-3384. Very clean office. I originally came here for teeth cleaning. I have very sensitive teeth but the cleaning was painless and Dr. Wang recommended me MI Paste afterward. I came back here for fillings and my insurance cover all the cost except for $50 deductible. I have already scheduled for my next cleaning in 6 months. Highly recommend. Thanks Dr. Wang! So glad I found Link Dental! Everyone was kind, accommodating, and very skilled. Excited to have Dr. Wang as my new dentist. Amazing Job once again, got a partial Porcelain crown and she is a craftsman and she takes dentistry very seriously. Work was done very well and she is very thorough. I've been coming to Dr.Wang for a couple of years now. It is always a pleasant experience. Dr Wang and her staff are the best. I highly recommend her. Where to begin, I have had TMJ treatment and braces. I am starting the process of my implant now. I have never received dental care this great. Dr. Wang has great attention to detail and has been extremely flexible with my appointments since I work all sorts of hours. I highly recommend her! If you have any questions or would like to set up an appointment, feel free to contact us today at (310) 558-3384.